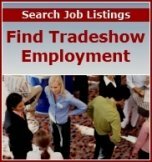 Hiring a company to help you with your tradeshow exhibit design takes careful research and evaluation. After all, if you are going to be successful with your tradeshow strategy, you need a striking display that reflects your company image. Your exhibit must be designed to attract attention in a matter of seconds and, at the same time, persuasively communicate your sales message. It must also be built with a layout that allows you to meet and greet prospects in a customer-friendly way. Examples of custom exhibits produced by Reveal Marketing Group. As you can see from the list above, not all exhibit design companies provide all exhibit-related services. Moreover, expertise and talent from one firm to the next can vary significantly. You many find that many may contract design, construction, and graphics to fully support customer needs. In this case, the exhibit company will assign and oversee all work that is outsourced on the client's behalf. To begin your provider selection process, consider visiting a trade show or two and talk with exhibitors in non-competing fields who have displays that appeal to you. Or, you may want to identify exhibit producers by contacting professional organizations, asking your chamber of commerce for company names, or getting referrals from colleagues. Once you have a list of three to five potential exhibit suppliers, take the time to contact each one to learn more about their services and expertise. In addition, try to get a handle on whether each company has a pulse on exhibition trends and technology advances. This will help you determine whether firms are forward thinking and creative in the way they approach their business. This will have an impact on what they produce for you. The next step is for you to cull your list of prospective suppliers to two or three, based on the input you've received and what you've learned. Check references on your top choices. Then, ask each firm to submit a proposal that details their approach to developing your exhibit design, based on a set of guidelines or parameters you give them. Note that the proposal doesn't request specific design work. 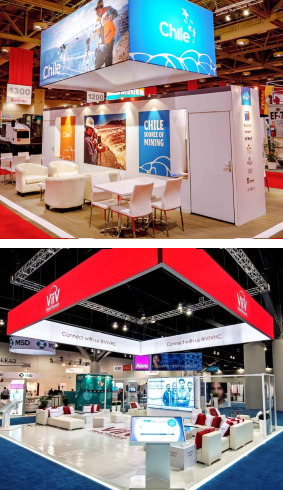 You should be asked the type and size of events you plan to attend with your exhibit, your objectives for trade show participation, exhibit and space requirements, budget, design requests, etc. Then schedule an appointment with each firm and have the principals present their proposal to you. If the exhibit producer is not local, schedule a conference call to review the proposal. During your meeting or call, ask more questions and seek their perspectives on what you need to maximize your success. Ask to see examples of their work for current and past clients. Afterwards, you should be able to make a thoughtful decision on which tradeshow exhibit design firm is best for you.